Everyone who sells anything in Haiti is called a 'machann'. So, a 'machann fig' is the Haitian street vendor who goes around selling bananas. 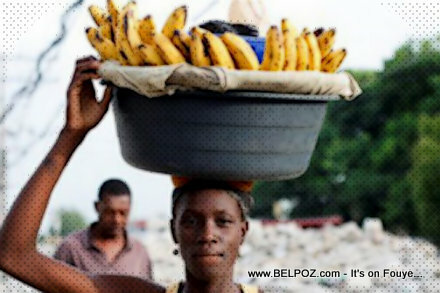 Usually, in Port-au-Prince and other major cities in Haiti, a 'machann fig' will also carry and sell 'pen ak manba' (peanut butter sandwich) for you to eat with your banana and she usually goes around the neighborhood yelling 'fig mi' (ripped bananas) in the early morning hours, breakfast time.